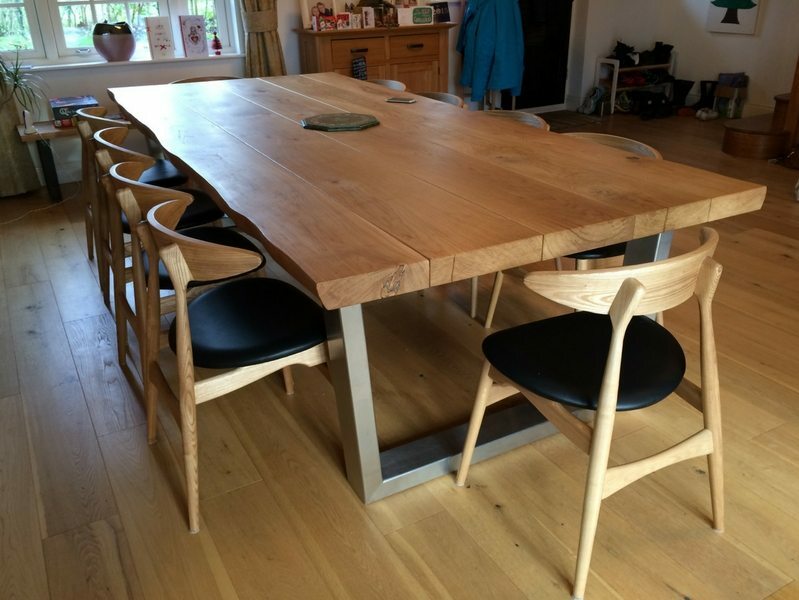 Our farmhouse dining table is one of the most impressive dining tables in our range. 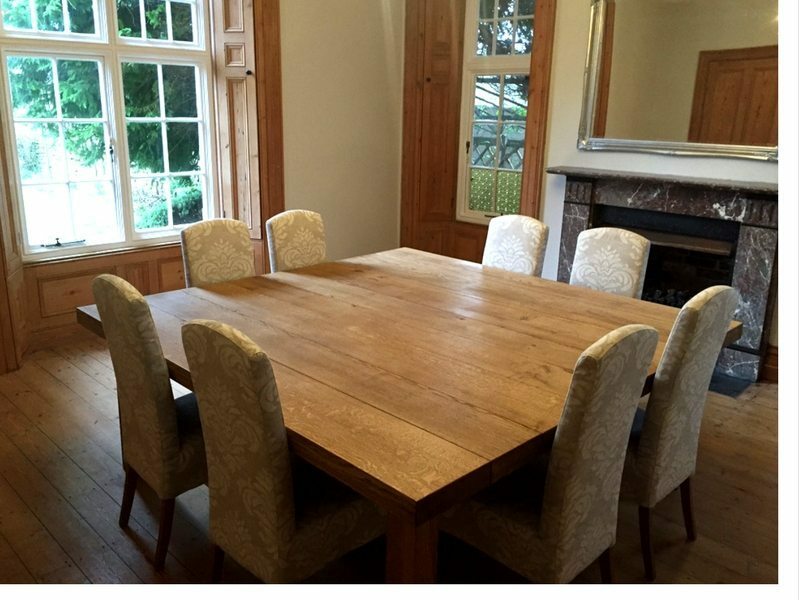 It’s hand crafted from the most beautiful single pieces of solid oak available, which have been dried out to the perfect humidity. 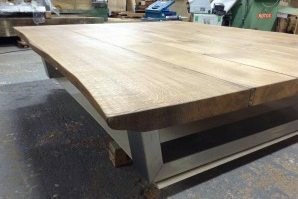 It sits on 4 super chunky solid oak legs that are configured using our classic skirt design, making the table incredibly strong and fit to last for a lifetime. 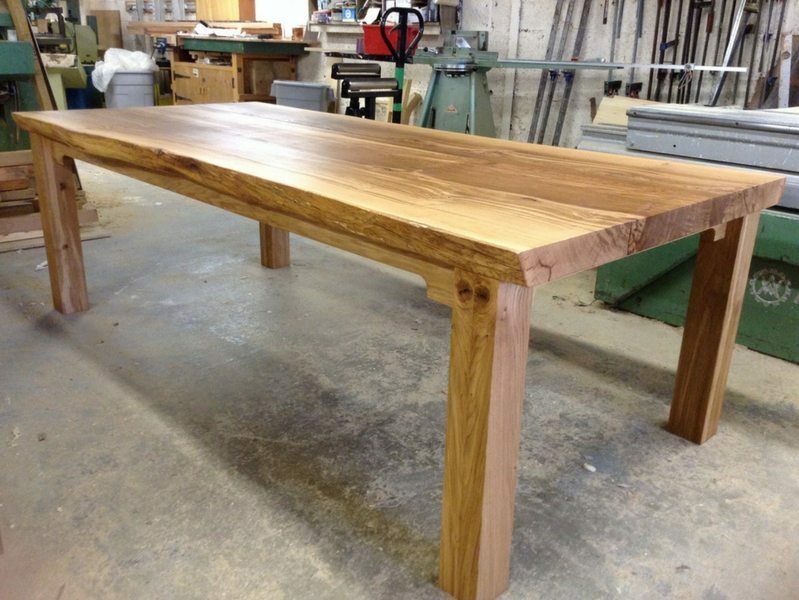 This is the only dining table you’ll ever need. 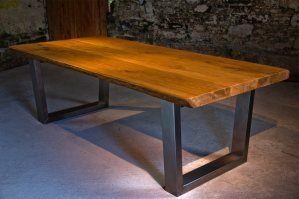 Our farmhouse table is also available with a live-edge table top, which gives it more of a rustic feel. 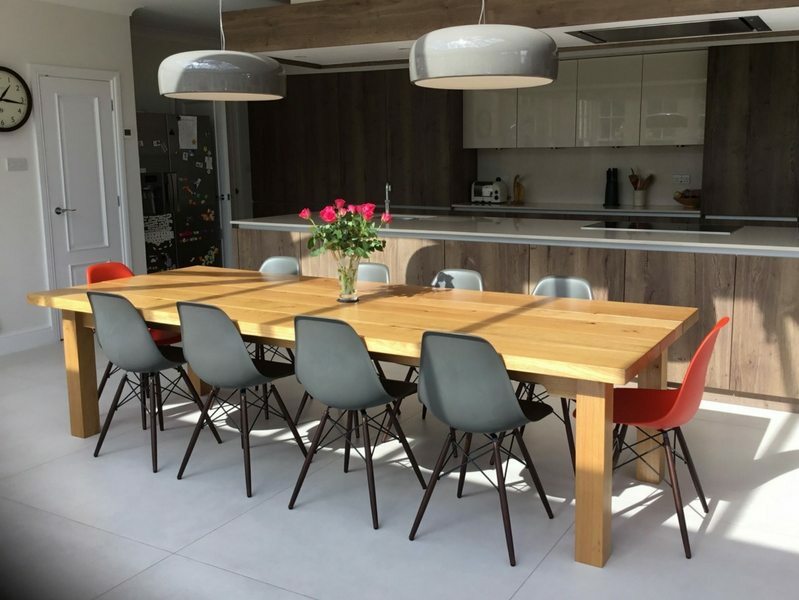 The farmhouse table is also perfect for a kitchen table, and we have a range of chairs that fit with it extremely well. 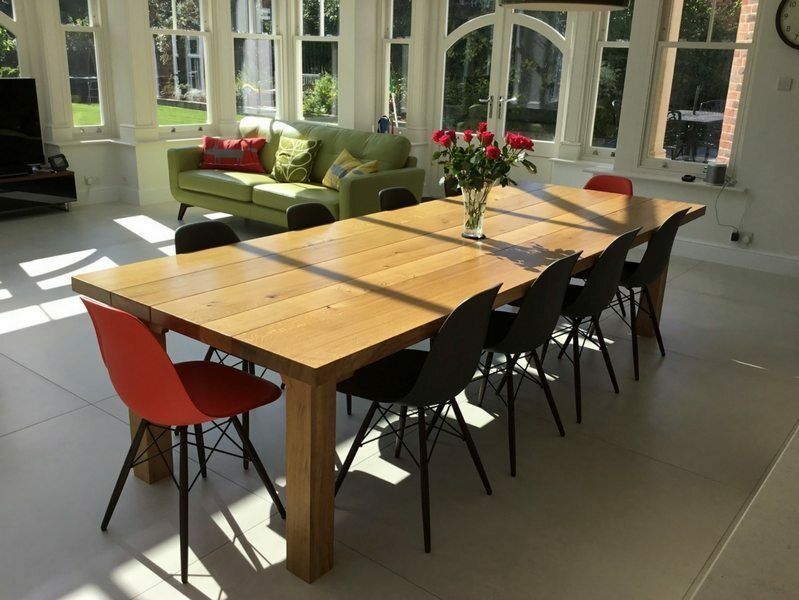 The farmhouse dining table is also available in a square configuration. 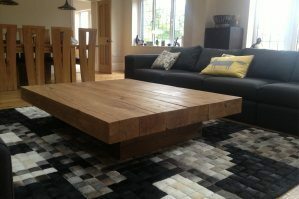 To see our standard sizes and prices just download our price list brochure here.